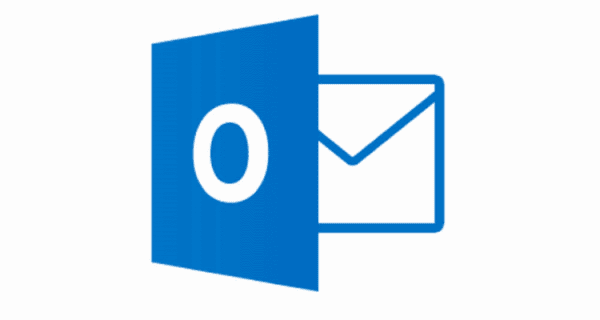 Microsoft Outlook 2019, 2016, and 365 can display or send messages in HTML format or plain text. Just have a look at the settings below. In Outlook, select “File” > “Options“. Select “Trust Center” in the left pane. Select the “Trust Center Settings…” button. Select “Email Security” in the left pane. 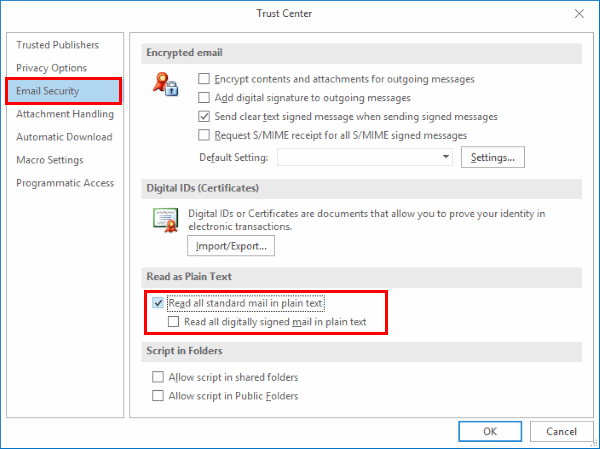 In the “Read as Plain Text” section, check the “Read all standard mail in plain text” to disable received messages from being viewed as HTML and view email in plain text only. Uncheck it to allow HTML messages. Select “Mail” in the left pane. In the “Compose messages” section, change the “Compose messages in this format:” to “HTML“, “Rich Text“, or “Plain Text” as desired. While in “Outlook” > “Preferences“. Check the”Compose messages in HTML by default” if you want to write messages in HTML. Uncheck it to use plain text. 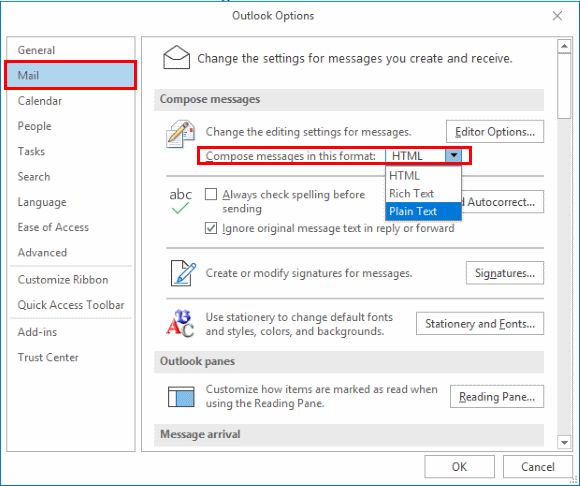 Select “New Email” to compose the message, then select the “Format Text” tab. In the “Format” section, select “HTML“, “Rich Text“, or “Plain Text” as desired. If you are missing the “Format Text” tab in Outlook for Windows, select “File” > “Options” > “Customize Ribbon“. Choose “Main Tabs” in the “Customize Ribbon” dropdown, then ensure the “Format Text” option is selected. if i turn off HTML email, can i turn it on for a single email I receive, because I trust the sender? Can their HTML email contain bad stuff without them knowing? yes, Now I can shee and share the mail in HTML format. Thank you. 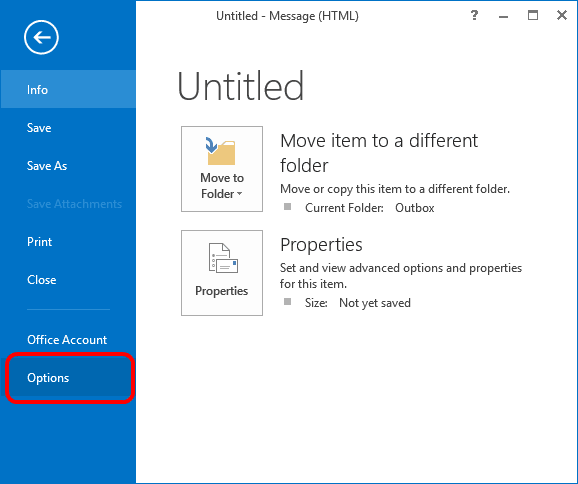 “FORMAT TEXT” tab is not available to me in the Customize Ribbon… I’m using the newest Outlook for Windows 10. Your style of only displaying the essentials is excellent! Please add instructions for “Change Single E-mail You are Reading?…and this will be complete. Our military firewall policy requires everyone to receive e-mail as plain text. 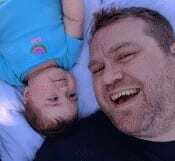 Therefore, we have to manually enable view HTML on individual messages. But your visual formatting of this information is outstanding.